Isabella is suddenly growing up as well! And Isabella and Josephine have this year got their own bouquets like mom. Finally. They've always loved mom's bouquets and switched to hold hers They are cute with their own little flower bouquets. 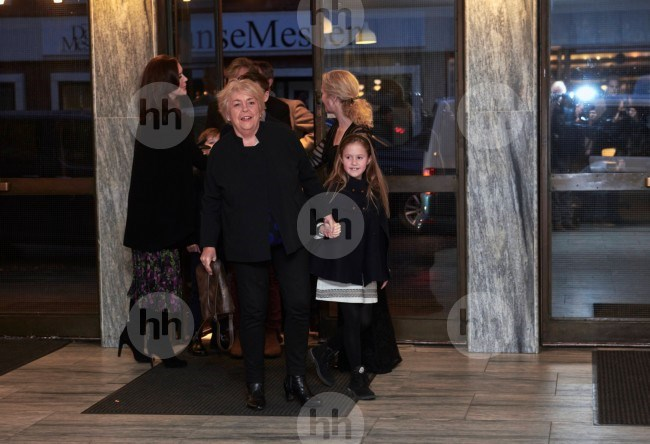 Now, see how nice it is to see Mary’s father and stepmom enjoying a nice family outing with Frederik and Mary and their kids? It’s great when the in-laws are included. 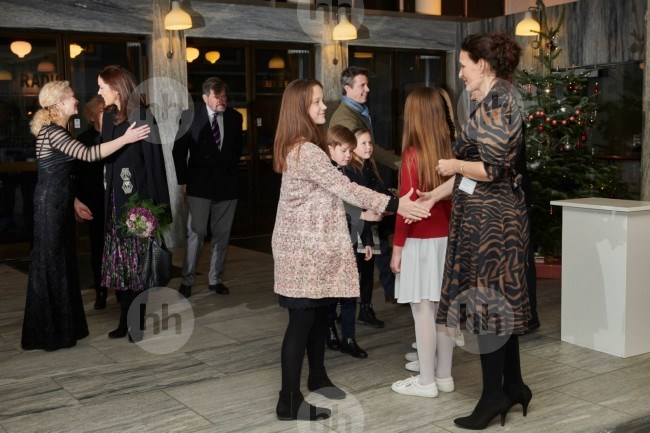 Nice to see the children and Mary's parents at the event together. I wonder if that means that they will be spending Christmas with their daughter and daughter in-laws family in Denmark this year if they're in Copenhagen at the moment. Isabella looks like the spitting image of Frederik in these photos! Well, I sure won't rule that one out. I can imagine the senior Donaldsons rotating among their children around Christmas time. Perhaps not every year, there may be times when they wish to spend Christmas alone or with friends or other relatives of course. But I think it's natural they rotate among their children. And they are hardly newcomers to the DRF, so there would be no particular problem adding them on the list. There should be ample room at the Cavalier Building next to Marselisborg manor itself, where M&F usually stay. - J&M live in the big building with QMII. But I don't think so, not this year. This is IMO more a family gathering and a special one at that, because this is the first Christmas without PH. 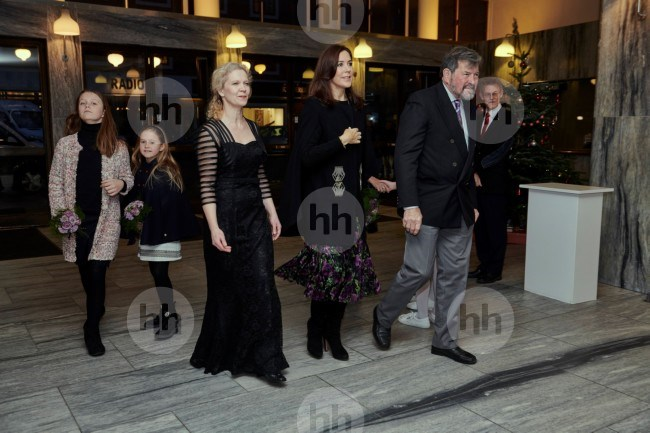 And also think that should M&F host John and Susan, they will do so at their own favorite spot, the hunting lodge at trend - and perhaps celebrate Christmas in a more typical danish way. I.e. dancing around the Christmas tree instead of sitting and singing in front of the tree. So I believe the senior Donaldsons will leave before Christmas. She is Susan Donaldson, isn't she? AFAIK, she only uses the name 'Moody' as an author. Interesting perspective; thank you Muhler. Perhaps the Donaldsons visited the family at this event as they won't be able to make it for Christmas and wanted to see them during the festive season. Good quality video. Let's hope we get much more like that. It ain't easy being the younger brother, eh? And it's nice to see the interaction between the Donaldsons and the children. They can hardly be terrible grandparents if the children are perfectly willing to hold their hands. I've read the magazine article and will give a summary later when I'm done scanning this weeks issue of BB. Written by the Ulrik Ulriksen, reporter extraordinaire. 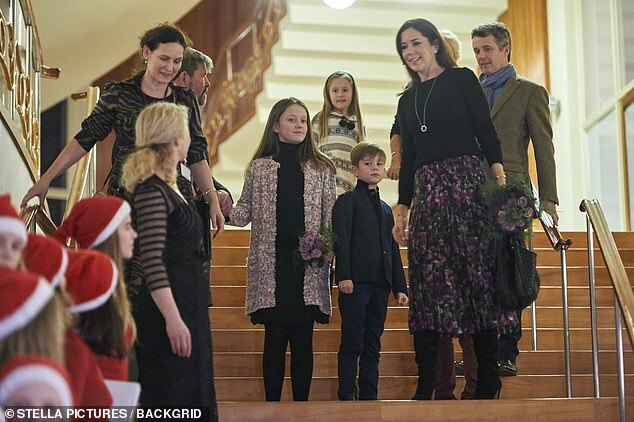 Mary, as patron for the Danish Royal Conservatory's Children's Choir, usually attend at Christmas concert around this time of year. Complete with a Lucia procession even if it may not be Lucia Day. And usually she brings her family along. This year including John and Susan Donaldson. John Donaldson is a well-liked man here in DK. Perhaps because he is a quite unassuming man, who has never made a song and dance act about himself and certainly not his daughter. That applies to Susan Donaldson as well. Our reporter observed that morfar Donaldson held hands with Bella, Josephine and Vincent and winked to Christian. During the concert Mary sat between her dad and bonus-mother and she talked quietly with her dad several times. It was a very mixed repertoire of songs, some in English. (Perhaps for the benefit of the Donaldsons? Or simply an acknowledgement of Mary's English-speaking background?) They included Let it Snow and Holy Night. Josephine was in especially cheerful mood and at some point during the concert, where there were many other children present the conferencier asked if anyone could answer these questions: Where was Jesus born? And how many wise men were there? Vincent and Josephine's fingers shot up! They didn't get to answer the questions though, but judging from the looks on their faces, they got it right. After the concert Mary said: "Thank you for a lovely concert. Now we are really in Christmas mood." I don't know what it's called in your languages, but here it is in Danish. It was translated to Danish in 1553. The article suggests that John Donaldson is getting increasingly frail. Hence why he did not take part in the official celebration of Frederik's 50th B-day. The article also suggests that Isabella supported her morfar, by holding his hand while he walked down the stairs. - I don't know how frail he is, if he indeed is frail, but of course the possibility is certainly there, as he is now 77.